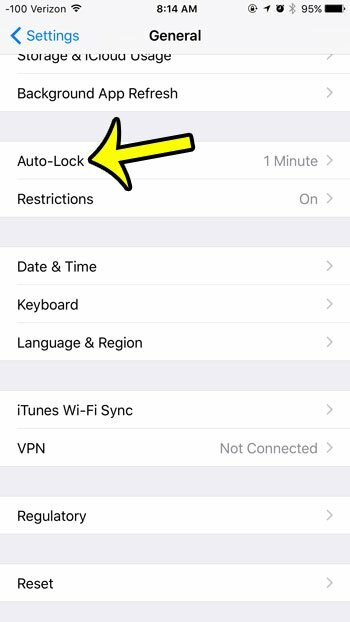 Your iPhone has a feature called Auto-Lock that will tell the iPhone to lock the screen after a certain period of inactivity. This is meant to both protect your device from unintended screen taps, while also extending battery life by turning off the screen when it is not being used. While this is helpful if you are using the device in normal situations, you may find the frequent screen locking to be difficult if you are reading something on the screen, or if your hands are not free to keep the screen from locking, such as when following a recipe that you have found on a website. 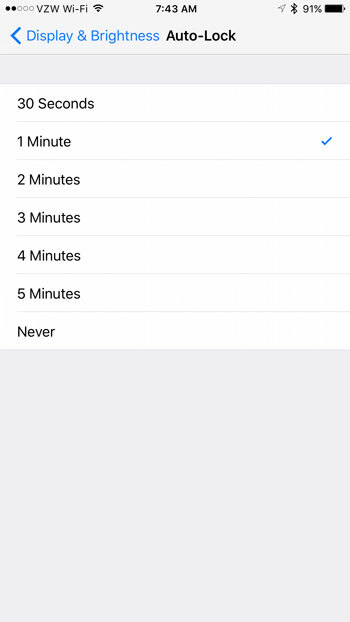 Our guide below will show you how to set the amount of time that the iPhone will wait before it chooses to lock your screen. Click here if your iPhone uses iOS 9. 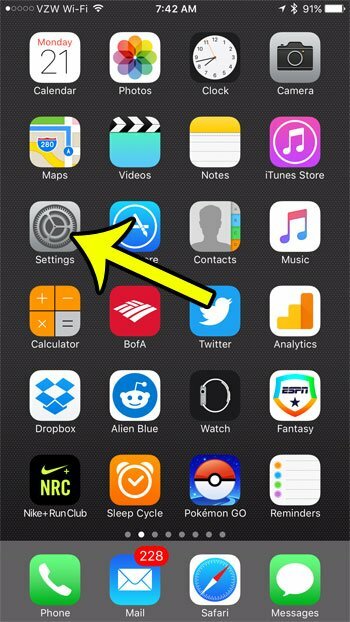 Click here if your iPhone uses iOS 10. 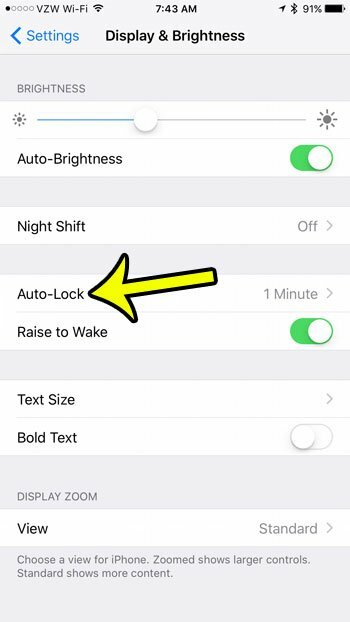 The steps in this article will adjust the Auto-Lock setting on your iPhone. You can specify the amount of time of inactivity for which the iPhone will wait before it automatically locks the screen. Note, however, that illuminating the iPhone screen is one of the biggest battery drains on the device. Additionally, if the iPhone is not locked and is in your pocket or a bag, then objects may touch locations on your screen and cause things such as pocket dialing. Step 3: Scroll down and select the Auto-Lock option. Step 4: Select the amount of time that you would like the iPhone to wait before it locks automatically. 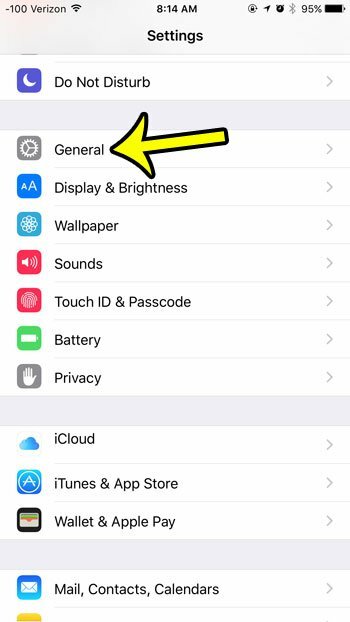 Note that this time is for a period of inactivity, so your iPhone screen will not lock automatically if you are touching the screen. If you select the Never option, then your iPhone will only lock the screen when you manually press the Power button on the top or side of the device. Step 2: Scroll down and tap Display & Brightness. Step 3: Open the Auto-Lock menu. Step 4: Select your desired amount of time. 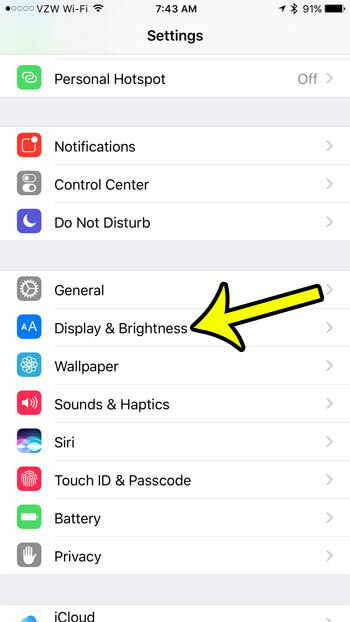 Select the Display & Brightness option. 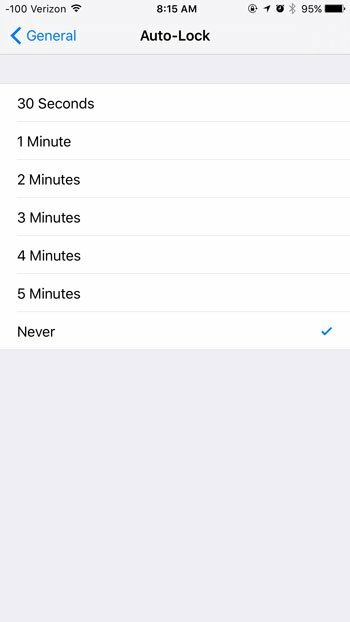 Select the amount of time that you want the iPhone to wait before locking the screen. Are you concerned about excessive data usage by your iPhone, as well as improving your battery life? Learn how to turn off Background App Refresh on your device to potentially help with both of these problems. 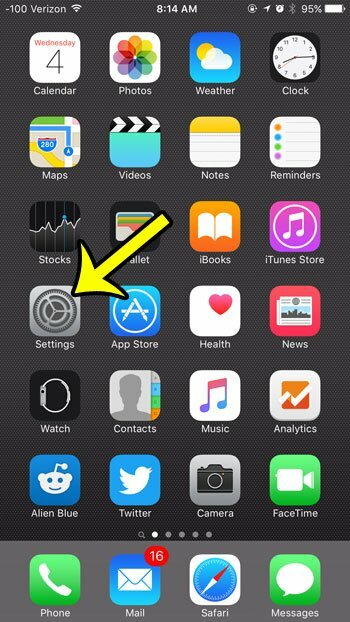 The apps on your iPhone will periodically check for new data and update their content when you are not using them, and disabling Background App refresh will prevent this from happening.